Environmental problems today are complicated. Some might even call them ‘wicked’. They involve clashing public perceptions, moving targets, differing stakeholder aspirations, and long-term time-frames, often stretching over generations. They’re also multi-dimensional, including a number of different causes, impacts, parties, and objectives which shift over time. Where do we even begin to address problems like these? To tackle wicked problems, we require non-traditional, non-linear, and innovative approaches. We term one such suite of approaches ‘adaptive governance.’ Emerging out of work in the natural sciences on building resilient environmental landscapes, adaptive governance recognizes the complexity of social-ecological problems and advocates a flexible, holistic, collaborative approach to help solve them. One of the benefits of adaptive governance is that it rejects a “one-size-fits-all” approach. Instead, the methods found inside the adaptive governance toolbox hinge around building mutual understanding, promoting joint learning, developing ongoing dialogue, and creating a safe space for experimentation. These foundations allow decision-makers to more easily adapt to changing environmental circumstances. Adaptive governance approaches have been used successfully in recent years to address a number of environmental problems around the world, from fisheries collapse to natural disasters to protected area management. What might adaptive governance look like on the ground in New Zealand? 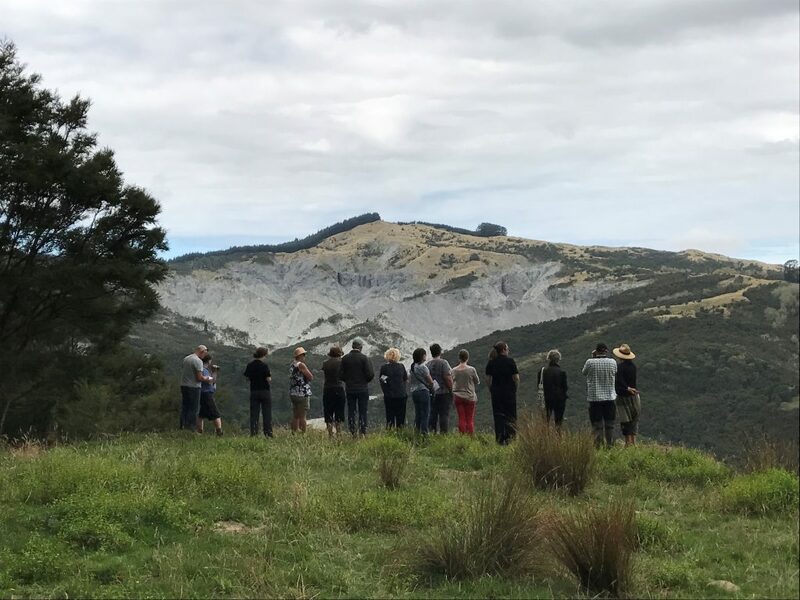 To test an adaptive governance approach in New Zealand, we launched a programme called Weaving the Korowai of Papatūānuku – Adaptive Governance and Supported Environmental Decision-making. 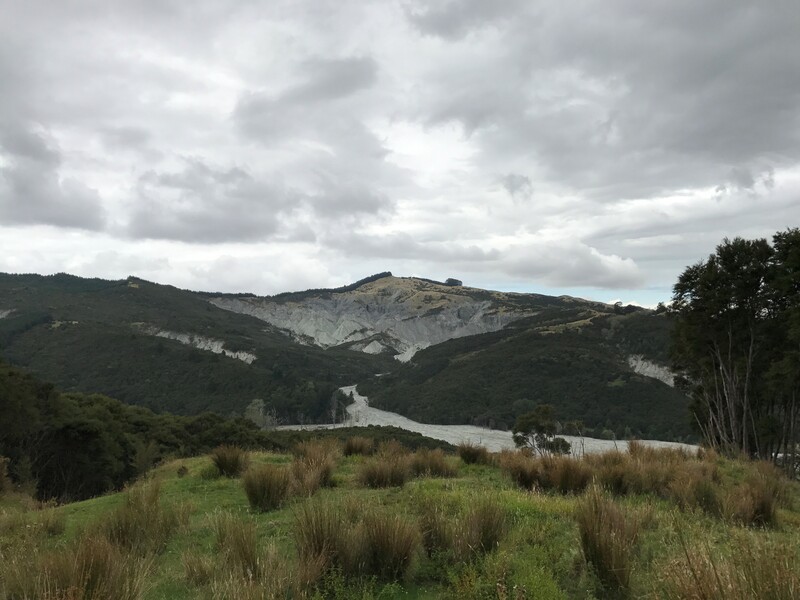 Using the case of ecological restoration in the Waiapu Catchment on the East Coast of the North Island to test a series of adaptive governance tools for environmental problem-solving. 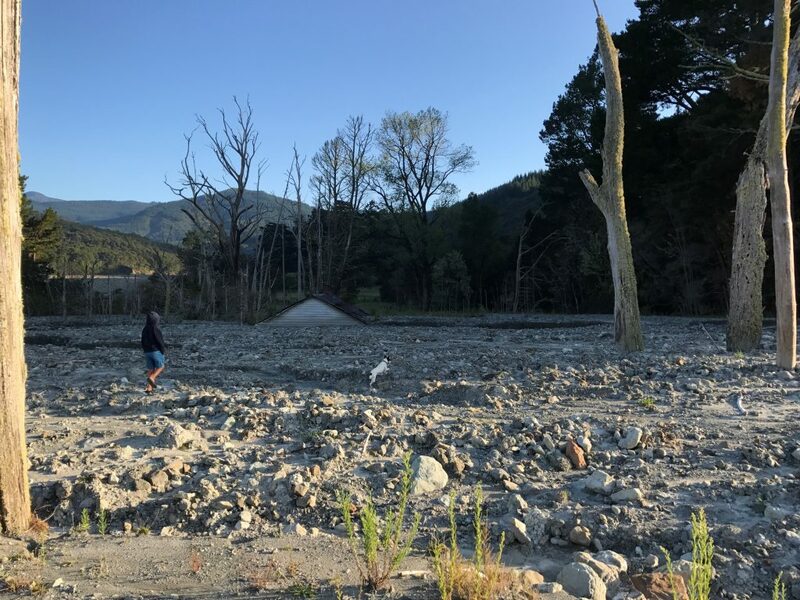 The Waiapu Catchment is facing some of the most severe erosion rates in the world, with grim consequences for catchment health and people who live there. To combat the erosion, the Ministry for Primary Industries, Gisborne District Council, and Te Runanganui o Ngāti Porou signed a 100-year Memorandum of Understanding in 2014 with goals to restoring the catchment ‘healthy land, healthy rivers, healthy people.’ The Scion-led team is exploring how adaptive governance approaches may help accelerate the implementation of these long-term goals. A dried riverbed? Look closer for the roof of the Barton homestead, now buried in the sediments coming from the surrounding gullies. Waiapu catchment, East Coast. Credit: Tui Aroha Warmenhoven, Ngāti Porou. Scion, along with our colleagues at AgResearch, Landcare, Lincoln University and NIWA’s Making SENZS programme, are organising a national forum in Wellington on October 19 to progress our collective understanding of adaptive governance as a useful approach to complex environmental problems. We’ll also spend some time sharing adaptive governance tips and tools, opportunities and challenges, and successes and failures in order to think about how the approach can best be implemented in New Zealand and beyond. Keynote presenters include Professor Jonathan Boston (Victoria University of Wellington) who will discuss the role of anticipatory governance in safeguarding the future. The forum will include a panel discussion on the concept and practice of adaptive governance, then work to build a lasting network of researchers and practitioners active in environmental decision-making. The forum is open to the public, and we’re eager to hear about other people’s experience with adaptive governance and to share some of the lessons we’ve learned so far. We hope to see you there! For more information or to register for the forum, please see the Forum website. Erosion is a complex, non-linear problem that requires non-linear solutions. Barton gully, Waiapu catchment, East Coast New Zealand. Credit: Tui Aroha Warmenhoven, Ngāti Porou. Featured image: Barton gully, Waiapu catchment, East Coast New Zealand. Credit: Tui Aroha Warmenhoven, Ngāti Porou.